What is that (rotting) under the bed? I’m really not sure when my obsession with cooking with medlars or even just finding an opportunity to taste them began. I can’t even remember when I first heard about their existence. They’re pretty rare these days and, until fairly recently, the only ones trees I had seen in the flesh were at the National Trust’s Winkworth Arboretum. Hardly the place for scrumping. 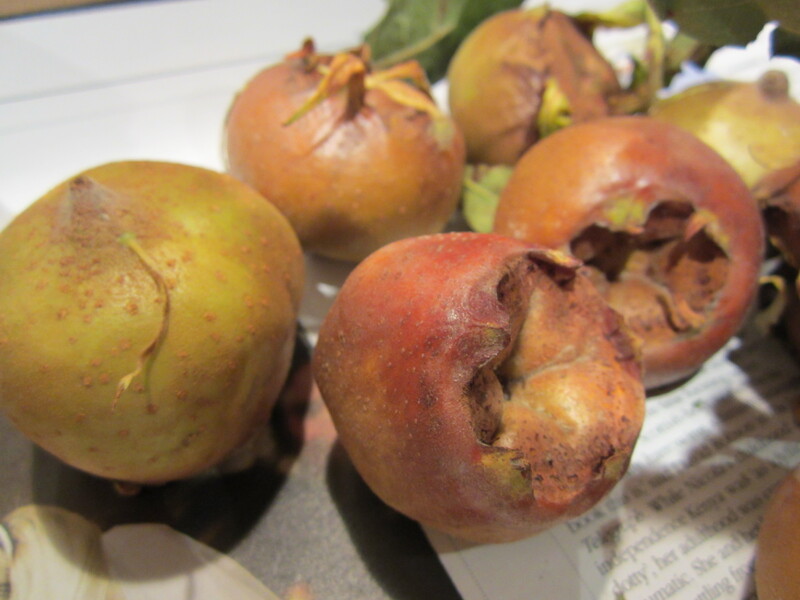 Then, a mere six years after moving into my house, I found a small tree in the park behind my house (next to an even smaller fig tree) and put a note in my diary to pick the medlars at some point in October. I took a walk over there earlier this week and they easily came off the tree so I decided it was time to pick them. 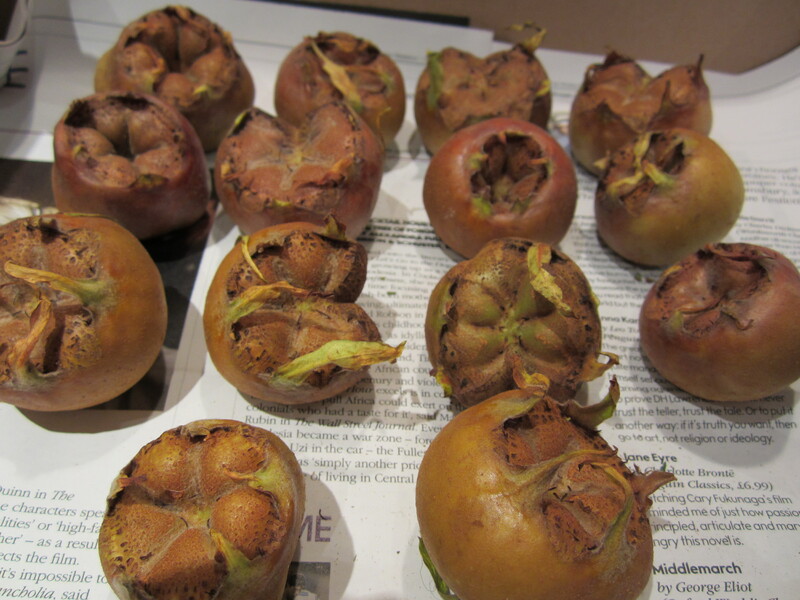 There were only about twenty so I’m not sure I’ll be making any medlar jelly. But before I even think of cooking or eating them I need to let them rot a little bit. Yes, really. The fruit are so hard and bitter that the rotting process, more correctly known as bletting, is needed to soften and sweeten the fruit enough to make them edible and even then they are (apparently) an acquired taste. I read somewhere that the way to do it is to put them in a cardboard box under the bed in straw or layers of newspaper. So, that’s where mine are now, lurking on the Sunday Supplement and awaiting their transformation into something wonderful, or at least interesting.